Thessalonica was the center of Paul’s missionary activities in Macedonia. Here Paul followed his usual pattern of working outward from a central location to propagate the Christian message. Corinth was the center in Achaia, and Ephesus in Asia. About 315 B.C., King Cassander of Macedonia began developing Thessalonica, which he named after the sister of Alexander the Great. It continued to develop until Rome defeated Macedonia in 168 B.C., when the kingdom was divided into four parts and Thessalonica was made the capital of the second district. When the province of Macedonia was formed in 148 B.C. (period of the Roman Republic), Thessalonica was made the capital of the entire province. It had a population of about 200,000. 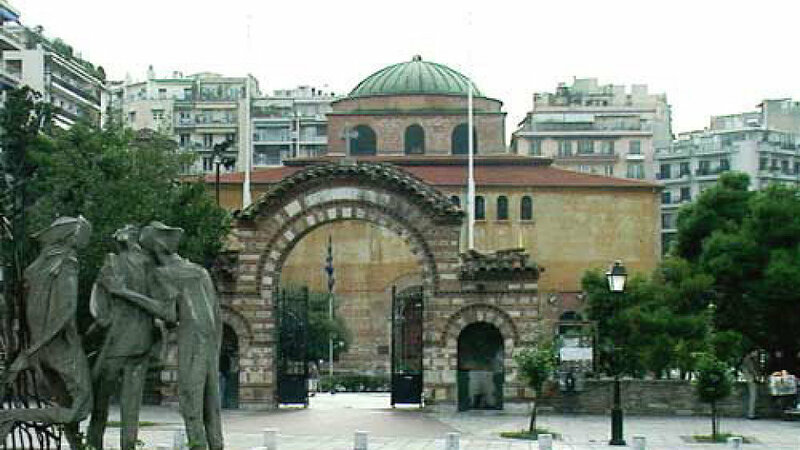 Thessalonica was the seat of the governor of Macedonia. The city is located in a natural amphitheater on the slopes of the Cortiates Mountains at the head of the Gulf of Therme.18 Thessalonica was on the Via Egnatia and had easy access to the commercial sea routes that led to Asia, Syria, and beyond. Thus, it was the principal seaport of southeast Europe. You can see 9,600 foot Mount Olympus19 from the upper streets of Thessalonica. Paul’s first converts in Thessalonica were “a great many of the devout Greeks and not a few of the leading women” (Acts 17:4). It is interesting that a Jewish antagonist accused Paul of turning the world “upside down.” After Claudius’s edict of expulsion in A.D. 49 (Acts 18:2), it was very important that Jews maintained good relations with Rome.21 Apparently, Paul was changing the status quo. Thessalonica’s multicultural society22 may have received with mixed emotions Paul’s message that “there is neither Jew nor Greek, there is neither slave nor free, there is neither male nor female; for you are all one in Christ Jesus” (Gal. 3:28). After Thessalonica came under Senatorial jurisdiction in A.D. 44, it was granted “free city” status and enjoyed many privileges. This was also a time of intense social leveling; nevertheless, the economic disparities that exist in most cities in most areas of the world were also evident in Thessalonica. Part of the wealth of Thessalonica’s citizens came from slave ownership and trade. An inscription found at Beroea contains rules for the sale of slaves in Macedonia (McRay, p. 293). After receiving “securities” from Jason, the magistrates released him and his company.23 Encouraged by the local brethren, Paul and Silas left the city for Beroea. Paul’s letters to the Thessalonians were written within a few months after his departure from their city. In the 4th century A.D., Thessalonica was a center of Christian persecution. The Emperor Galerius (d. A.D. 311) was resolutely opposed to Christianity and issued several edicts that authorized the destruction of Christian property and even the death of Christians. Acts 17:1-4. Paul founded a church in Thessalonica on his second missionary journey. Here he taught: “This Jesus, whom I proclaim to you, is the Christ.” Thessalonica may have had a large Jewish population: a large number of Greeks had converted to Judaism; and the Jews were influential enough and large enough to rally a mob against Paul and Silas (v5). Acts 17:5-9. Envious Jews and “some wicked fellows of the rabble” attacked the house of Jason, where Paul was staying. Not finding Paul, they took Jason before the local authorities, who accepted “security” and let them go. With the trouble, Paul and Silas set out for Beroea rather than staying and remaining a threat to the young Thessalonian church. Local disturbances might invite Roman interference. 1 Thess. 2:14; 3:2-4. Paul wrote the Thessalonians encouraging them to endure persecution. Acts 17:15; 18:1, 5; 1 Thess. 1:1. Paul sent his first epistle to the Thessalonians from Corinth or soon after leaving the city. Acts 19:29; 27:2; Col. 4:10-11. One of Paul’s missionary companions on his third missionary journey, named Aristarchus, was a Jew from Thessalonica. Gal. 3:28; Col. 3:11; 1 Cor. 12:13. Thessalonica’s multicultural society should have received gladly Paul’s teaching that all people are equal before God. 2. Thess. 1:7-10; 2:2-3; 3:1, 5, 7. Paul wrote his second epistle to the Thessalonians to instruct them concerning the second coming of Christ, to admonish them to pray for the triumph of the gospel, and to follow always the teachings they had received from him.